20 August 2018 – As Hassan Mushaima, a septuagenarian prisoner of conscience serving a life sentence in Bahrain, continues to face illegal restrictions on his access to medical care, 10 international NGOs call for full and unrestricted access to medical care in detention for all prisoners of conscience. Concurrently, our organizations raise deep concerns regarding the inefficacy of Bahrain’s human rights mechanisms in addressing Mushaima’s condition. Mushaima suffers from a series of chronic medical conditions, including gout, diabetes and erratic blood pressure. He is also a former lymphoma cancer patient. He requires over 15 different types of medication to help with these conditions but has faced restricted access to his medicine. Additionally, his cancer was reportedly in remission as of late 2016, but prison authorities have consistently constrained his access to the regular screenings that he requires to ensure that it has not returned. He also faces restrictive conditions on family visits, with the result that he has not been able to meet with his family since February 2017. While the authorities have recently allowed Mushaima to receive his medication following initial international pressure around his case, they continue to withhold his access to an endocrinologist for his diabetes treatment and cancer screenings. Mushaima and other high profile prisoners of conscience, including Abdulhadi Al-Khawaja and Dr. Abduljalil Al-Singace, have also reported that, since October 2017, prison authorities have confiscated all books, including religious books, papers, and writing materials. The Bahraini government’s illegal restrictions on healthcare violate international detention standards, and prisoners of conscience have been singled out for mistreatment. Prison authorities force prisoners of conscience, including the elderly Mushaima and Dr. Al-Singace, to be strip-searched, chained, shackled, and marched to medical facilities if they want to attend medical appointments. They must face this treatment when attending external appointments, and when transiting within the prison to the internal medical facilities, which they refuse to do. There is no security justification for this treatment, as Mushaima and al-Singace have never presented any security risks in detention, nor posed any flight risk. This treatment is therefore interpreted by the prisoners, and by our organizations, to be both arbitrary and punitive, with the intention to humiliate and degrade prisoners of conscience. Such treatment contravenes the United Nations (UN) Standard Minimum Rules for the Treatment of Prisoners, also known as the Mandela Rules. On 7 August, Bahrain’s National Institution for Human Rights (NIHR) released a statement regarding the health conditions of Hassan Mushaima, yet this statement was made without any direct investigation of his condition or consultation with him in prison. The NIHR’s assertions in their statement are misleading and incomplete, and they fail to address core concerns directly raised with the Institution. The statement declares that Mushaima has voluntarily declined medical services to be provided to him and has refused to attend six of his medical appointments in the last six months. What the statement neglects to mention is the degrading treatment Mushaima has endured in order to gain access to medical care. In choosing to omit any reference to core concerns raised in complaints to the NIHR, including the use of punitive shackling, we in the international human rights community view the Institution’s statement as a clear attempt to obfuscate prison authorities’ degrading treatment of prisoners. We believe this does not represent a good faith effort to effectively address the concerns raised by international human rights groups, but rather appears to be yet another effort to whitewash human rights abuses perpetuated against Mushaima and other prisoners of conscience. More broadly, Bahrain’s oversight bodies, including the NIHR and the Ministry of Interior Ombudsman, continually contribute to a pervasive culture of impunity in Bahrain through their failure to independently carry out their mandates. While a number of the undersigned organizations continue to present cases to these institutions, we remain seriously concerned over past instances of reprisals and intimidation, as well as false or misleading reporting that serves to conceal human rights abuses by the authorities. Through these actions, these human rights bodies have demonstrated a clear lack of independence and have failed to effectively seek accountability or to act in the best interest of victims. A number of organizations have expressed these concerns. 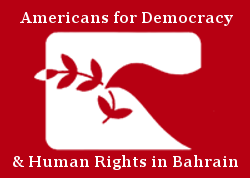 In July 2018 the UN Human Rights Committee found that Bahrain is failing to meet its treaty obligations under the International Covenant on Civil and Political Rights, specifically noting that the NIHR “lacks sufficient independence to perform its functions” and voicing concerns about “the lack of information on complaints received and investigations carried out in response to these complaints.” Additionally, the UN Committee against Torture in its 2017 State Review of Bahrain, as well as the European Parliament in an urgency resolution earlier this summer, expressed further alarm over the partiality and inefficacy of the NIHR. The Bahraini human rights mechanisms have largely failed to properly address concerns raised on behalf of Hassan Mushaima, and his life remains at risk. Because of this, his son, Ali Mushaima, is on his 20th day of a hunger strike outside of Bahrain’s Embassy in London. In the early hours of 12 August, foamy dirty liquid was thrown on Ali Mushaima from the embassy’s balcony, in what appears to be an attempt to intimidate him and force him to leave the premises. Undeterred, he continues his protest demanding Bahraini authorities immediately provide Hassan Mushaima with unfettered access to medication and treatment, as well as for an end to restrictions on family visits and the return of confiscated books and reading materials. We in the international human rights community call on the Bahraini government to establish truly independent and credible human rights mechanisms that are fully empowered to carry out their mandates and appropriately address human rights violations and abuses. We also call on the Bahraini authorities to lift illegal restrictions on prisoners, provide Mushaima and other prisoners of conscience with adequate medical care, and ultimately ensure his release. See a PDF of the joint statement here.